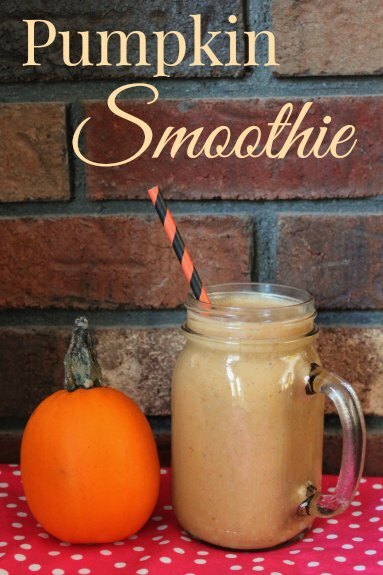 I am a huge fan of smoothies in the morning, and although I stick to my green smoothies almost every morning, there is just something about pumpkin in the fall. The first time I made this smoothie, it was such a great way to start the day, and the combination of banana and pumpkin is so sweet, it feels like comfort food! A great recipe if you really love pumpkin, or if you are just trying to use up some leftover pumpkin! 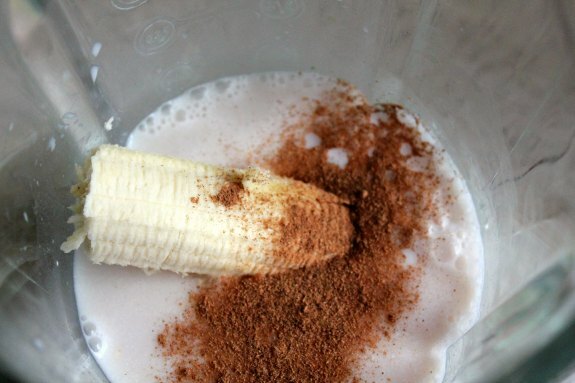 Place ingredients in a blender, blending until smooth. With smoothies, I recommend starting with smaller amounts of things and adding on. For example, you can add in yogurt or ice to thicken. Or perhaps add in more pumpkin or spice to taste. Everyone has different tastes, so one person may like their smoothies on the thinner, more liquid side, while others prefer a thick smoothie. I felt the banana was sweet enough, but you can add in sweetener if you feel it needs it. It is up to your own personal preference! I rarely measure my smoothie ingredients other than when I start by pouring coconut milk in the blender! This sounds like a yummy smoothie. I’m getting into pumpkin foods already, I can’t help it, esp when they look this good. I want to try this! I love Pumpkin Coffee drinks and Pumpkin smoothies are so delicious and healthy. I want to make this drink today!